If you want your guests to be truly astounded and amazed with sleight of hand tricks, mentalism or comedy magic, then we insist that you choose a certified trusted magical entertainer that will add mystery and excitement to your next party with their awesome tricks and masterful illusions. 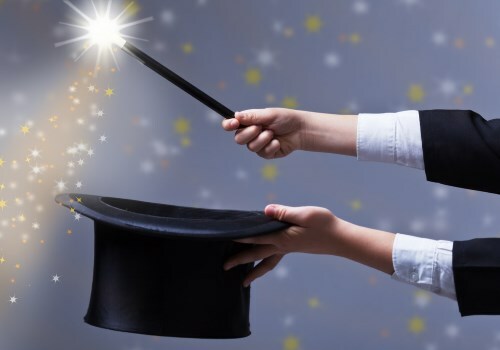 Did you know that there are many different types of magic? It's true! Gone are the days where an entertainer could dazzle a crowd by simply pulling a rabbit of of his hat. Mentalism is a technique where performers, called mentalists, use psychological skills in order to appear as though they possess extraordinay intuituve abilities. llusionism is when a magician performs tricks that deceive the eye. Typically, these illusions are incredibly elaborate and take place within a large stage production. Strolling Magic, conversely, consists of a magician interacting face-to-face with a small audience by performing sleight of hand tricks or similar routines, often with a deck or cards or small props. Comedy Magic is, you guessed it, comedic. Comedy magicians incorporate humor and gags into their performance. They can perform for children or adults, depending on the type of humor. Which type of magician will you employ for you next event? With so many types of magicians available, it can be daunting trying to determine which type to hire. 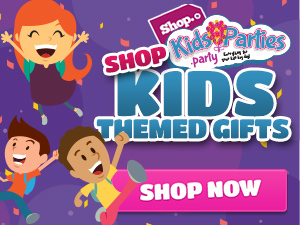 No matter which type of magician you are looking for, KidsParties.Party has an extensive list of the best entertainers who are guaranteed to make your party magical. To find magician entertainers in you area, go to our home page and click on your state! Get listed! Fill out this quick form to get started.